As many of you know, the North Bucks Road Club will be the proud organizers of this year’s British Time Trial Championships. The event will be run on Sunday 6th September 2009 on the Botolph Claydon circuit. We have an agreement with Team Milton Keynes to work together to promote this prestigious event – a promotion by the cyclists of Milton Keynes for the cyclists in the UK. Although the event will be no different to any time trial which the club have successfully run on this course in the past, we need input from as many as you as possible, either leading up to or during the event, as we would like to put on a good show – and we need to properly cater for an expected 300 riders plus spectators and officials. There will be a podium, there will be a commentator, plenty of marshals and helpers on the day, lots of nice cake, eight timekeepers and two British Cycling officials – and so on, and so on. Please do take the trouble to come along to this meeting, either to offer your views, or to volunteer. Don’t assume that things will always happen without your input – the NBRC and Team MK need to pull together on this one – an event to be proud of. Hope to see you on Wednesday 25th March – oh, and don’t book your holidays for the beginning of September or you will miss it! L.V.R.C. Rules (veteran riders) All categories. 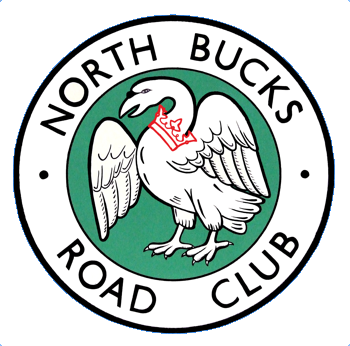 2009 will be another important year in the history of the North Bucks Road Club as we will be promoting the British Time Trial Championships on Sunday 6th September 2009 on the F5/11, otherwise known as the Botolph Claydon course.